Developer revised plan to include low-income apartments for women with children. 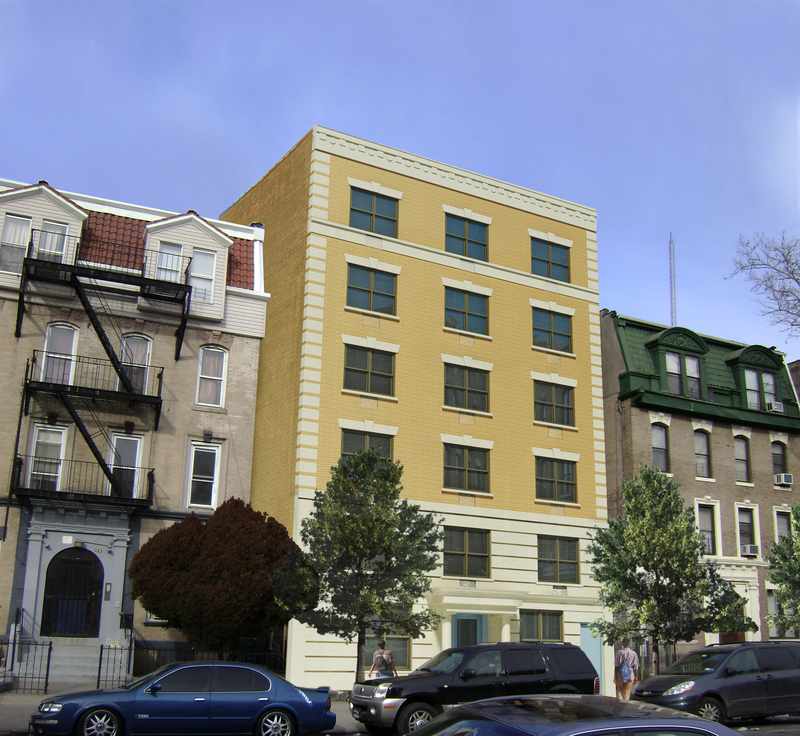 On November 17, 2010, the City Council approved the Department of Housing Preservation and Development’s revised proposal to allow Providence House to build a six-story supportive housing project at 329 Lincoln Road in the Prospect Lefferts Gardens section of Brooklyn. HPD recently demolished a four-story building on the site which had remained vacant for 30 years. Providence House’s original proposal included twenty studio apartments for single women transitioning from homeless shelters or prison, five studios for low-income single women earning less than 60 percent of the area’s median income, and one studio for the building’s superintendent. Brooklyn Community Board 9 and Borough President Marty Markowitz both asked Providence House to provide more low-income units. Markowitz also recommended that the project include larger family-oriented low-income units. At the City Planning Commission’s hearing, Providence House’s executive director argued that altering the supportive/low-income housing ratio would weaken the project’s social services program. Residents testifying in opposition expressed concerns about the project’s impact on the neighborhood. 7 CityLand 121 (Sept. 15, 2010). The Commission approved the proposal, with Commissioner Karen Phillips voting no. Explaining her vote, Phillips commented on the need to balance the distribution of supportive housing against the importance of providing local residents with a stable community. At the Council’s Planning, Dispositions & Concessions Subcommittee hearing, opponents reiterated their concerns about the concentration of supportive housing in the area. Council Member Charles Barron recognized the need for supportive housing, but said that African-American and Latino communities have absorbed an “inordinate” number of formerly incarcerated or mentally ill individuals. Barron asked why other communities had not taken their “fair share” of supportive housing projects. Speaking in opposition, local resident Barbara Rogers said the neighborhood needed affordable housing for current residents, not more supportive housing for new residents. Those speaking in favor included project representatives and neighborhood residents. HPD’s Jack Hammer responded to Markowitz’s concerns by explaining that reducing the number of supportive units would impact funding for the project’s “sorely needed” services. Sandra Lowe, a local cafe owner, stated that the community was not oversaturated with supportive housing and that the prospective tenants “belong to the community.” The Subcommittee’s vote was laid over to allow further discussions. When the Subcommittee reconvened, Chair Stephen Levin announced that Providence House had revised the proposal and would provide two low-income two-bedroom units for women with children. Providence House, however, reduced the total number of units from 26 to 22, decreasing low-income units from five to four. The remaining units will now include seventeen supportive housing studios, two low-income studios, and one studio for a superintendent. (CIT)Council: Providence House I (Nov. 17, 2010) (Architect: Alphonse Diaz).